is created to improve your everyday conversations in different languages. Travel, business meetings and language learning have never been so simple. 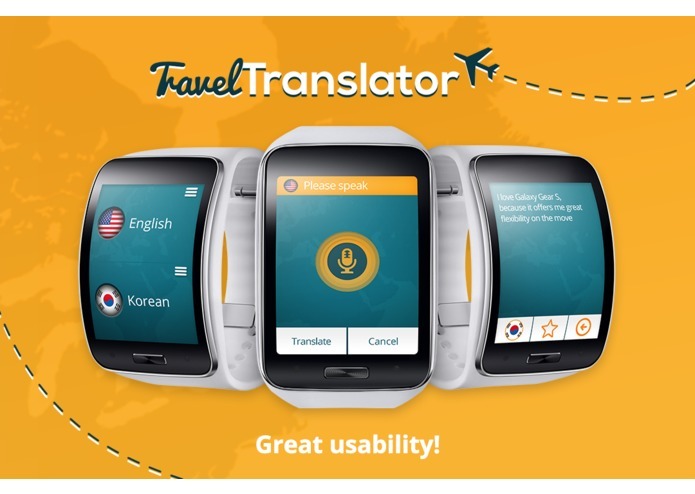 Travel Translator translates spoken phrases with great accuracy, all managed with a clear and intuitive interface. At the moment there is no similar app on the market for a smartwatch. I have also checked all 200 entiries and have not found any similar competitor in this challenge. 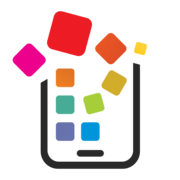 Moreover I believe this is kind of app which exactly fits into wearable category. 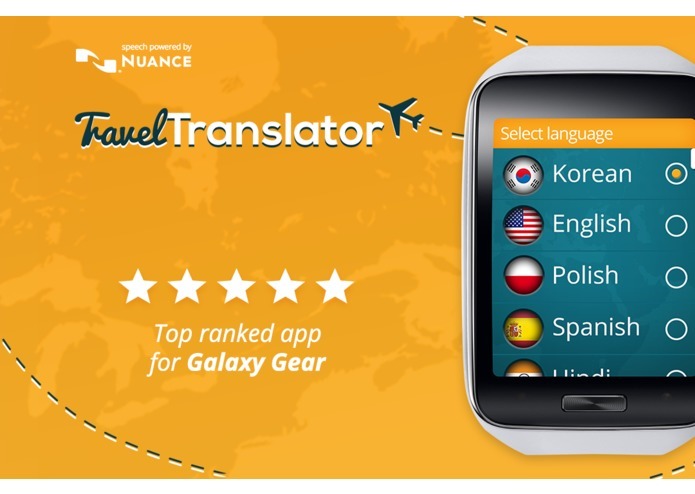 Top rated app on the Galaxy Gear 2 market ! During last month we have received great comments and feedback from real users around the world. Please check some of the comments we have receivied. So far our application has not been advertised but we have received quite large number of downloads. We can see in the server staticists the app is used everyday by many people. This numbers show that users want to have this kind of application on the market. 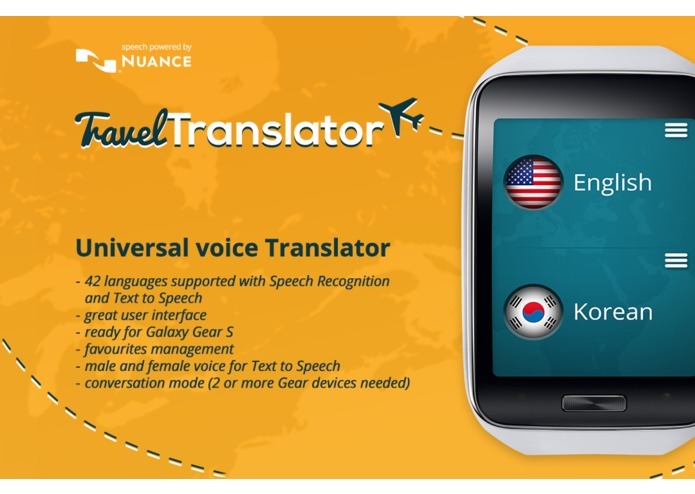 Travel Translator uses Nuance professional translation services to be really responsive and accurate. There are 42 languages available, together with their variants. Fantastically designed control elements! It lets you translate between any two languages you select, very easily, due to its simple structure and a great usability. conversation mode. Check the video to understand how it works. Basically it gives possibility to speak people with different languages provided they both have Gear device. Similar concept have been presented recently by Microsoft for Skype Translator.